I'm so excited about my new stamp venture, and while I originally intended these stamps to be used for Bible art & journaling, I just couldn't help but use them to make a card. 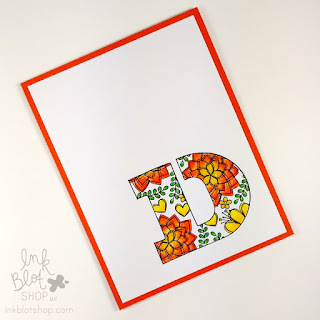 For this card I used my new This & That stamp set, and masked the stamped images into the letter D (which was hand drawn with the help of a stencil). I used some Prismacolor pencils to do some quick coloring, and then layered my stamped & colored piece onto a piece of colored cardstock. 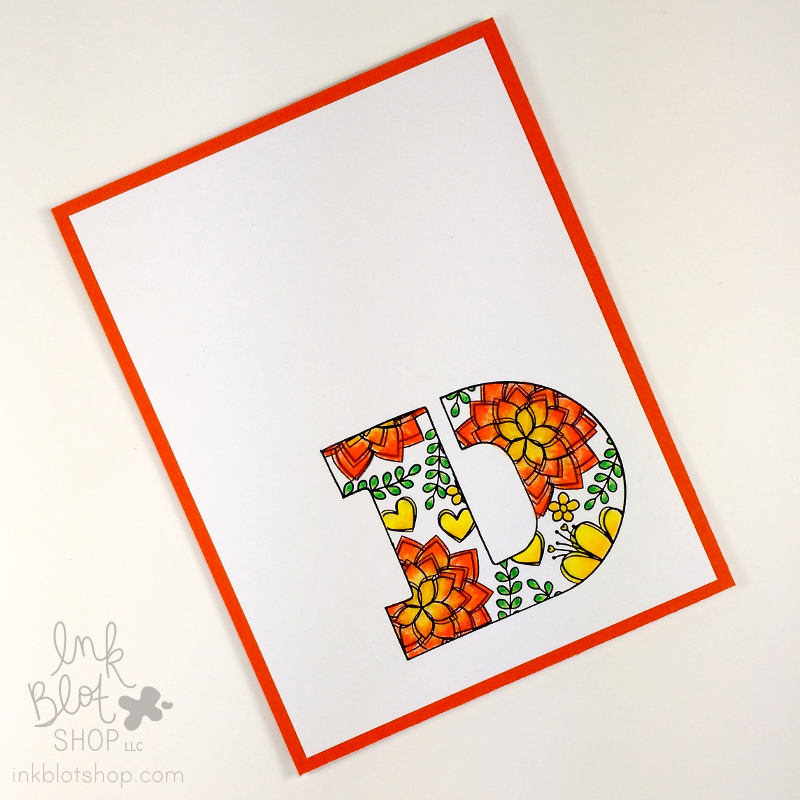 It all came together fairly quickly and I love the colorful result!